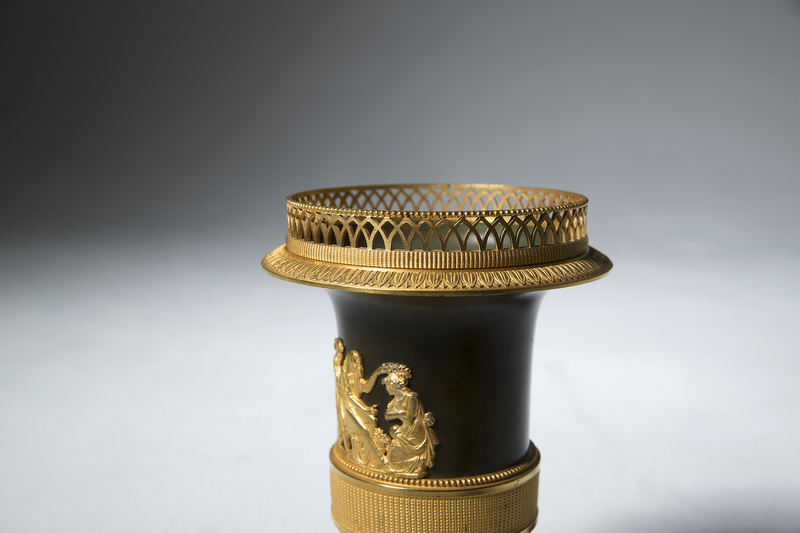 A pair of Directoire ormolu and patinated bronze urns circa 1800. 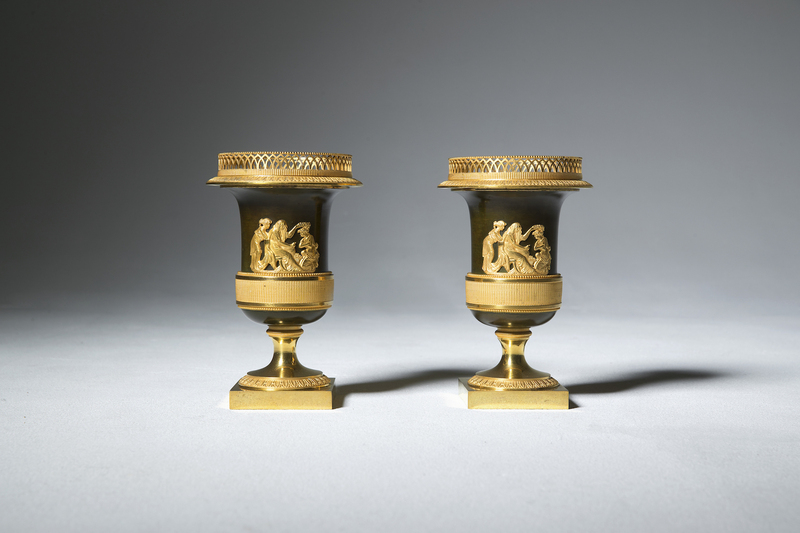 A pair of medici shaped vases on a square base. 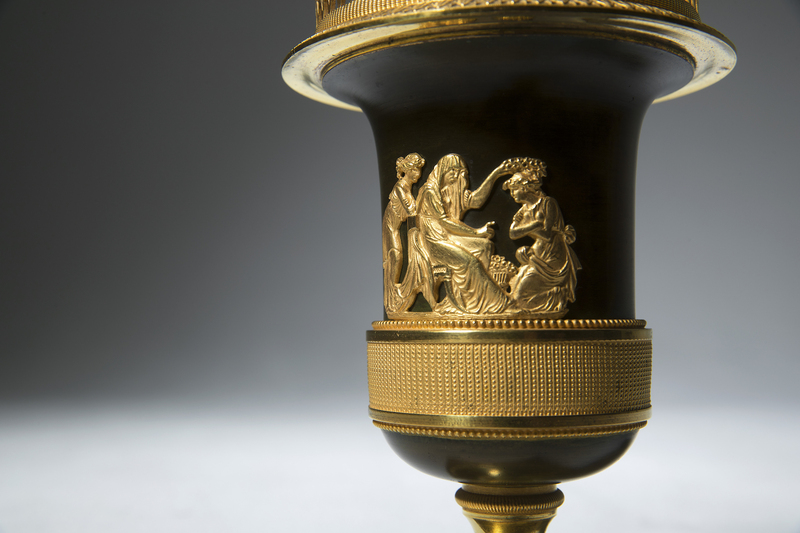 The patinated body centered by female ormolu figures. Excellent condition, minor ware consistent with age.